If you’re buying a rural home with a septic system to treat your toilet and other waste water, you need to understand how it works, what can go wrong and actions you can take to protect yourself as a buyer. 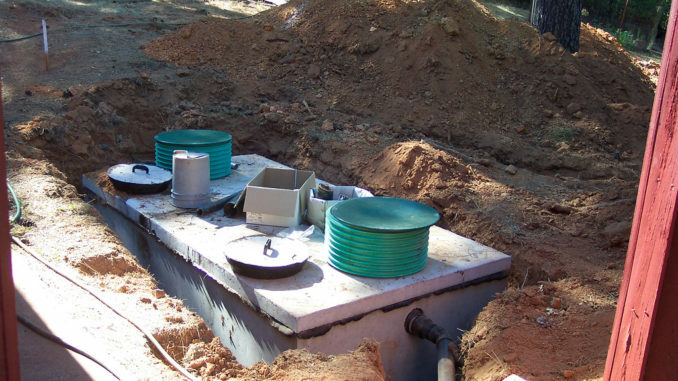 A septic system has two main components: a tank and a field. Waste from your home is piped into the underground septic tank. There the solid waste settles to the bottom of the tank where bacteria in the tank go to work to digest it. Liquid waste flows from the top of the tank out into a network of perforated underground pipes called the septic field. Bacteria in the soil finish processing the waste. Septic systems are generally trouble-free and reliable, but there are things that can go wrong. Harsh chemicals flushed down the toilet can harm the bacteria that make the system work. The sludge which settles out on the bottom of the tank needs to be pumped out every few years. Otherwise it can build up to the point where it plugs the field. Finally, heavy loads like cars and truck can cause damage if they drive on the septic field. If you’re buying a rural home with a septic system, there are some things you can do to protect yourself. Another option is to ask for a warranty stating the system has been working correctly while they owned the house. It should also confirm that it will be in good working order when you take possession. Finally, most County homes with septic systems depend on wells for their drinking water, but a few are serviced by municipal water. It’s also important to understand the water source when buying a rural home in Prince Edward County.